Over the last month, I’ve been posting a series of recipes related to one of my favorite fall things, roasted chicken. 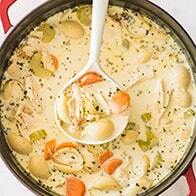 There’s been an Easy Roasted Chicken Guide, How to Make Chicken Carcass Soup, and How to Make Chicken Stock. 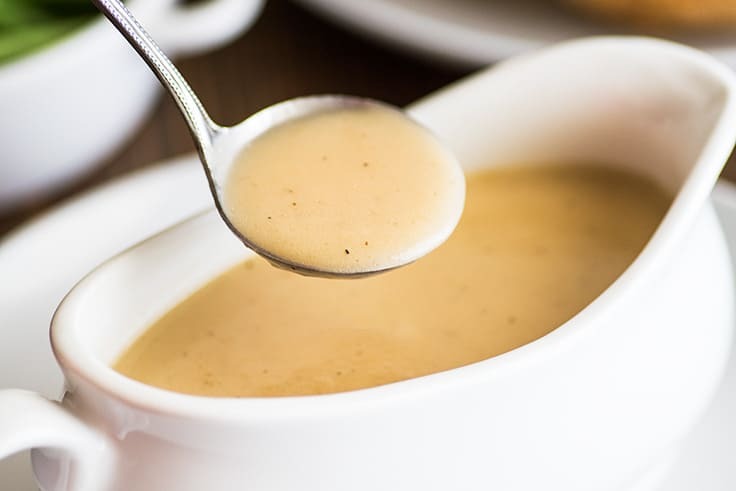 Today, I present you with the last of that series, How to Make Gravy From Drippings. And I’m not going to say this is my favorite of the bunch, I love them all, but really this is kind of my favorite because it’s a perfect back-pocket recipe. 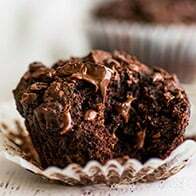 To me, a perfect back-pocket recipe is one of those recipes that gives you just a little more confidence in the kitchen because you always know you can whip it up in any situation, in any half-stocked kitchen, any time. This gravy fits all of those bills. 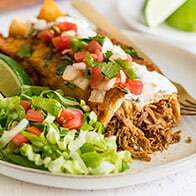 It’s quick, requires just four ingredients, and all you need to make it is a pot or skillet, a whisk, and (optionally) a fine-mesh strainer. Did I mention it’s also really excellent gravy? 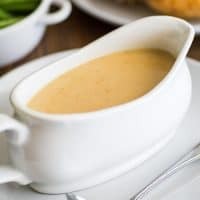 Making gravy from a roux made with pan drippings means that not only are you getting a creamy, dreamy gravy, but it’s a gravy infused with all the flavor of whatever those drippings came from. It’s so good, it’s dead easy to make, and I can’t wait for you to try it. Pan drippings from roasted meat and the browned bits: If the drippings are in something that can go on the stove top, pour off everything but two tablespoons of fat and keep all the browned, stuck-on bits from the bottom of the pan in there. 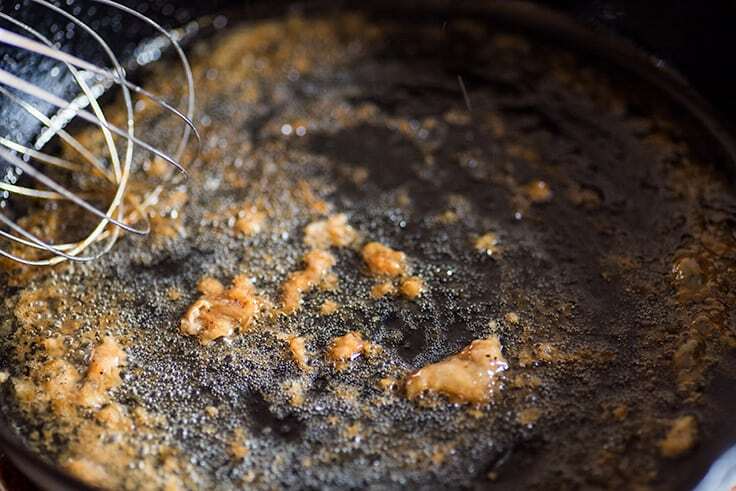 If the drippings are on a baking sheet or something that can’t go on the stove top, measure out the correct amount of drippings, pour off the rest, and then use a spatula to scrape the solid bits out of the pan and add them in with the drippings. The browned bits are optional, but they’ll add a lot of flavor, so why waste them? Flour: To make your roux and thicken your gravy. Water, broth, or milk: Any of the three will work here. I actually like gravy made with water best, but experiment and see what works for you. Broth will give you a really flavor-packed gravy and gravy made with milk will be richer (but a little sweet for my taste). 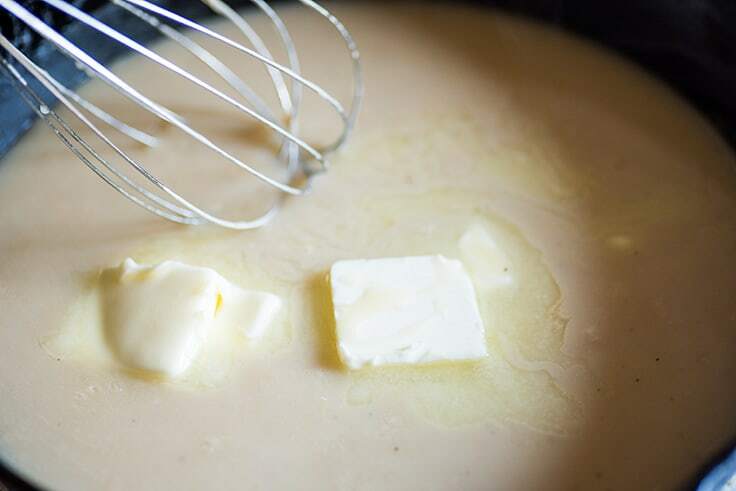 Butter: Adding a bit of butter after the gravy has thickened will make it silky-smooth and rich. Freshly squeezed lemon juice: Lemon juice is totally optional, but if you taste the gravy and it tastes a little flat to you, just a tiny squeeze of lemon will brighten up the flavor without making it taste lemony. 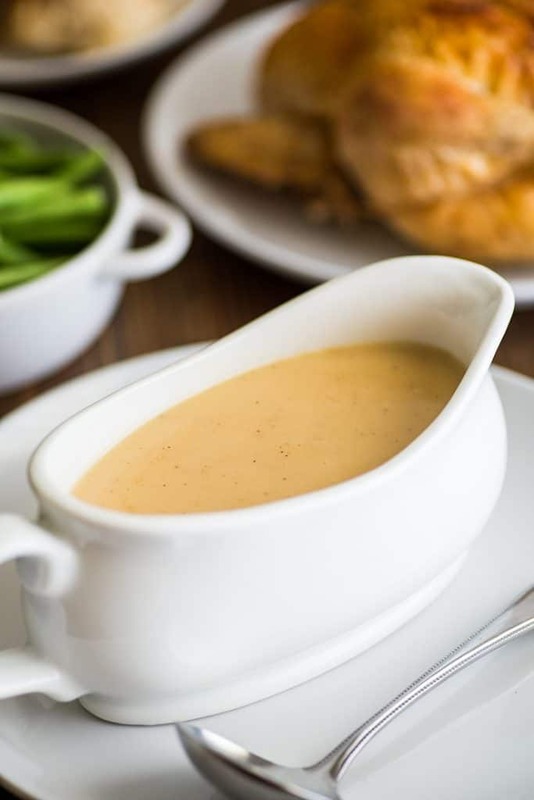 A fine-mesh strainer: Finally, straining your gravy through a fine-mesh strainer will make sure your gravy is perfectly smooth and creamy with no lumps or solid bits. Start by pouring off all but two tablespoons of fat from your pan (I like to reserve the rest of the drippings just in case something goes wrong or for later use), leaving any solid, stuck-on bits in the pan. 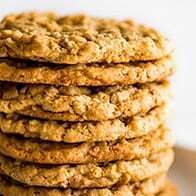 Heat over medium-high heat until any remaining solids are golden brown. 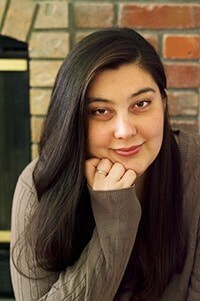 Watch out, the fat will splatter during this step. Just turn the heat down if it’s splattering too much. Whisk in flour and cook until lightly golden, about 30 seconds to a minute. Very slowly at first, pour in water, broth, or milk, whisking out any lumps as they form. Once the flour seems incorporated, you can speed up your pour. Cook, whisking continuously for 5 to 8 minutes (possibly longer if making a larger batch), until gravy is thickened and bubbly. Turn stove off and whisk in butter and salt and pepper to taste. If desired, add a small squeeze of lemon to taste. 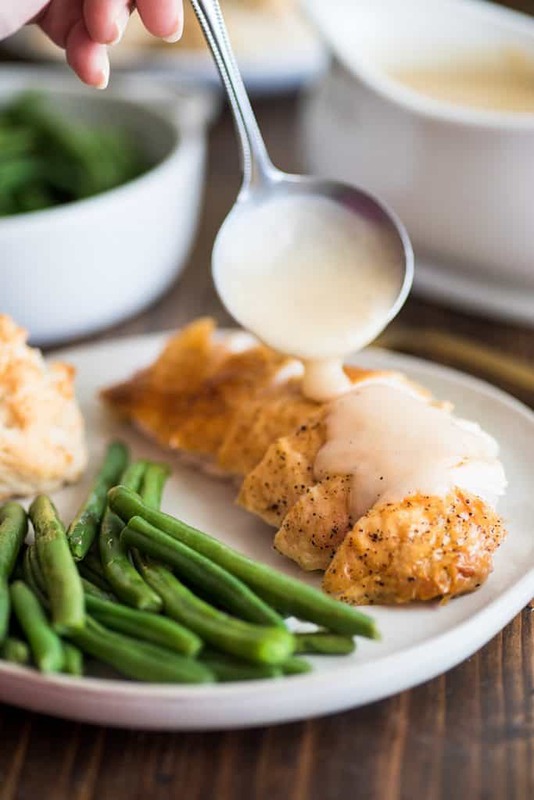 Serve over Roast Chicken, Cooked Chicken Breasts, Mashed Potatoes, biscuits or anything else that sounds good topped with gravy. 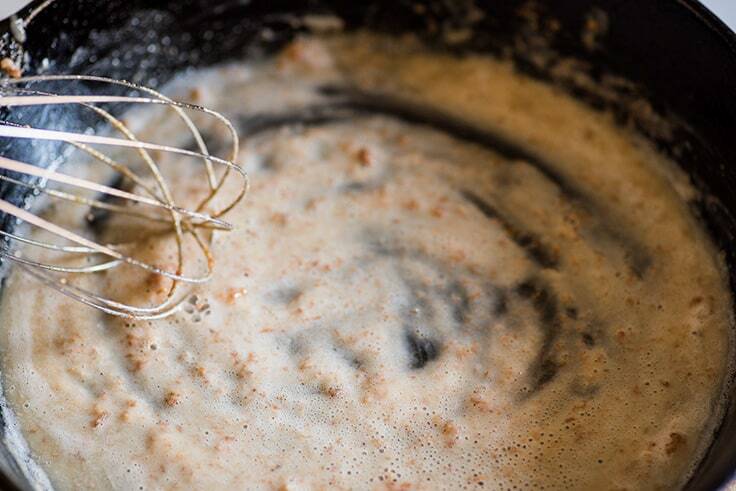 If your roux (fat and flour mixture) comes out lumpy and does not look like the roux in the photo, don’t worry. You probably had a lot of cooking liquid in with the fat and it evaporated during the browning step. Just make sure to whisk in the water/broth/milk slowly to get rid of the lumps and your gravy will be just fine. Pour off all but 2 tablespoons of fat from skillet, retaining any browned solid bits in the pan. In a large skillet, add 2 tablespoons of fat from pan drippings. Scrape solid, browned bits from the original cooking pan and add them to the skillet (skip this step if you don't have a fine-mesh strainer). Heat fat over medium-high heat. 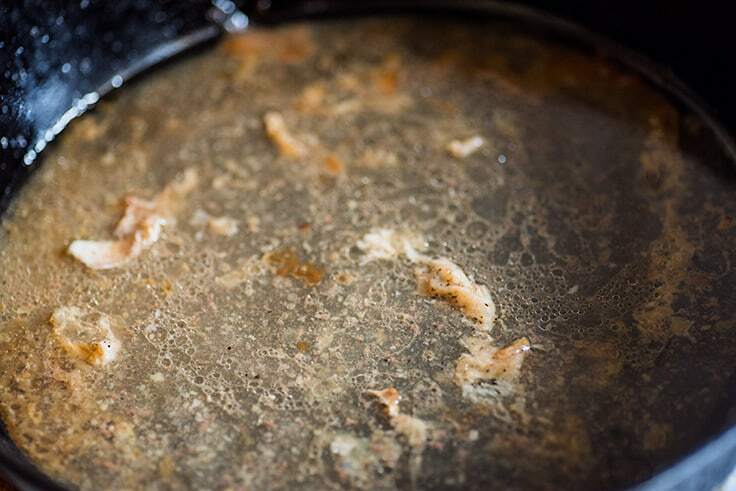 Bring to a simmer and cook until any solid bits in the drippings are well-browned. Add flour and whisk until lightly golden, 30 seconds to 1 minute. Slowly pour in the water/broth/milk, whisking out any lumps as they form. 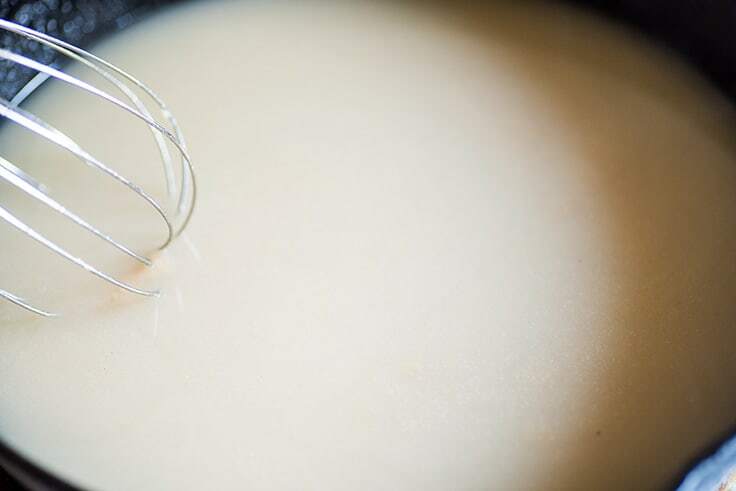 Whisk continuously until thickened, 5 to 8 minutes. Add butter and, if desired, lemon juice to taste—just enough to brighten up the flavor a little. Add salt and pepper to taste. Strain gravy through fine-mesh strainer if desired. Serve and enjoy! This recipe makes about 1 1/2 cups of gravy. Approximate nutritional information is for 1/4 cup of gravy made with water.